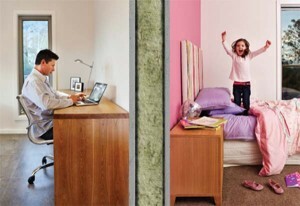 Soundproof a Room – new or existing home. Sound Deadening or Sound Absorbing? 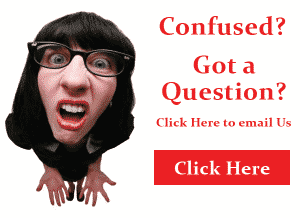 Home / Soundproof a Room – New or Existing home. How to soundproof a room is a question we get asked often. Obviously because a well soundproofed room provides a much more comfortable living space, and who doesn’t want that? the string or the reason for soundproofing the room. For example, the effort and expense required to soundproof a recording studio will differ greatly to that of a laundry room; and of course, to soundproof an existing room will require a different approach than to soundproof a room yet to be built. However, the basic soundproofing actions of block, absorb, dampen and decouple will be the same, while the product options available or necessary to achieve the desired result will differ. The best time to consider soundproofing for any room is at the time of construction, when budget permitting, all possible soundproofing methods can be employed. 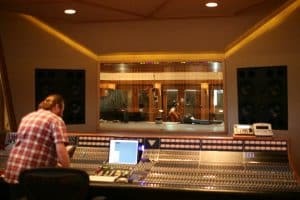 So, regardless of whether you’re looking to keep out intrusive noises of your over energetic neighbors, or are a voice over artist or musician looking to enhance the acoustics in your home, there are a number of effective ways in which you can soundproof just about any room in your home. From your home theater, to your bedroom or even your baby’s nursery, we have a number of tips that will ensure you get the calm and quiet you desire. Home owners can follow certain steps to soundproof walls and ceilings to obtain the level of quiet they desire. Effectively soundproofing a home you own not only significantly increases your level of comfort, but can also increase the value of your property. These are two of the main reasons people choose to install various acoustic materials when they are remodeling their home or when they’re adding the finishing touches to their new build. The truth is there is no hard and fast rule. You can soundproof just about any room in your house that you think will benefit from it. In fact, most rooms will become more comfortable to inhabit if the outside noise is blocked and they have better acoustics. 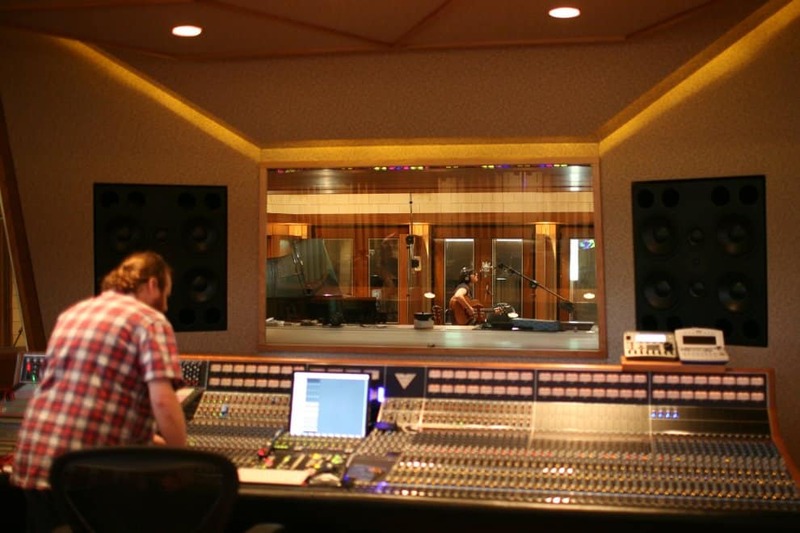 Ideally, as in the case of a recording studio, you would build a ‘room within a room’; here the internal room has no physical connection with the external room, thereby ‘de-coupling’ the inner room from the outside world and creating a vibration break. Both rooms would be built of heavy, dense, non-vibrating materials and would contain dense fibrous sound absorbing materials between the skins of the walls. There would be no gaps around doors or walls to allow sound waves to wriggle in. Products to be considered would be Mass Loaded Vinyl, resilient mount clips, heavy density acoustic plasterboard and heavy density acoustic insulation’s such as acoustic polyester, Rockwool or Glasswool. 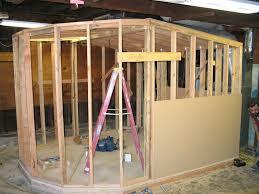 When soundproofing a home theater room, it is not usually necessary to build a room within a room. 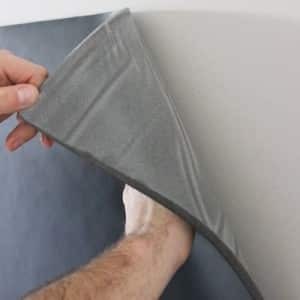 Creating solid non vibrating walls that contain heavy density acoustic insulation within and are lined with heavy density sound dampening materials such as Mass Loaded Vinyl will suffice. The use of resilient mount clips with acoustic plasterboard is also recommended to create a vibration break between the plasterboard and stud work. Anyone who works from home knows exactly how vital it is have a study or home office that’s free from all distractions. When you’re trying to focus on work, things like loud neighbors, your own boisterous kids, people mowing their lawn or street noises can be a major distraction and have a negative impact on your productivity. The right kind of soundproofing can go a long way in helping you work productively. When soundproofing a home office, we recommend taking the same steps as with a home theater above. Whilst the level of noise inside the home office is less likely to disturb the rest of the house, (although faxes, ringing telephones and loud conversations can be annoying) for your sanity it is wise to take every precaution against noises from the rest of the home penetrating the home office. Soundproofing bedrooms and bathrooms is often overlooked when constructing new homes, with budgets being applied in other areas. However, once the home is built it is much more difficult and expensive to insulate these areas, so it is sound practice to give it plenty of thought during the planning and construction phase. In reality, the cost of adding acoustic insulation between bedrooms and bathrooms as a percentage of the total home cost is minimal, and soon forgotten, but the comfort levels achieved will be enjoyed for a lifetime. Bedrooms- This is one space where we would go so far as to say that soundproofing is a must. Peace and quiet are crucial to a good night’s sleep; the minute you soundproof your bedroom, it turns into an oasis of calm that you can unwind in, at the end of a busy day. Bathrooms – It’s a little obvious that having a soundproof bathroom can be a huge benefit. It’s a great comfort to know that no one can hear those embarrassing bathroom noises (though everyone knows what’s going on in there). Showers and flushing sounds can be an annoyance as well especially if someone uses the bathroom while you are trying to get some sleep. Laundry rooms- The sounds of a noisy washing machine or dryer are all too familiar in many homes. Soundproofing this area to a certain degree, helps isolate and eliminate all those unwanted and often very loud spinning, whirring, banging and beeping noises that can disturb the peace of your whole home. To soundproof between bedrooms and bathrooms, you would usually only require a medium density acoustic insulation batt in the internal walls, like a 14kg/m3 product and a heavier density (maybe 20kg/m3 or even 32kg/m3) acoustic insulation batt to external walls. For rooms that share a wall with a noisy area, like a laundry room or rumpus room, the use of resilient mounts and acoustic plasterboard are recommended on the shared wall. If your home is multi story it is highly recommended to soundproof between floors to prevent the travel of footsteps and other domestic noise. A heavy density acoustic batt like a 32kg/3 at 100mm thick is recommended, as is the use of resilient mounts and acoustic plasterboard. If there is an often overlooked or underutilized area in many homes, it would have to be the humble basement or under house area, as in the case of pole homes. However, creating a finished basement space in your house, and correctly soundproofing it can transform it into one of the most functional, and often most tranquil parts of your home. It can be used as a band practice area, home theater space, home office, or simple meeting area without really disturbing anyone else in the house. Alternatively, many home owners now convert their basement / under home area into a comfortable and quiet soundproof rental suite that generates income for years to come. Using a website like www.airbnb.com, this has become easier than ever, and a lot of fun too. As mentioned earlier, the best time to consider soundproofing for any room is at the time of construction. However this may not always be possible. For instance, if you’ve already built your dream home without considering the soundproofing aspect and now find that it’s is something you can’t live without, or have bought a home that isn’t sufficiently soundproofed, you may find yourself wondering How to Soundproof a Room, that already exists! Well don’t despair, there are things you can do! Depending on the level of soundproofing required and the budget available, here are the steps we recommend. To simply decrease sound bouncing around, and quieten a room or area, especially in modern open plan homes, the use of soft furnishings, carpets & rugs is recommended as a cost effective starting point. Adding heavy drapes will help to minimize external noise from entering through window areas. Ensure the drapes go all the way to the floor and close well for maximum benefit. A next step would be to add sound absorbing ceiling tiles and externally mounted sound absorbing acoustic panels to walls. The addition of acoustic underlay with a good quality carpet will also go a long way to improving acoustics within the space as well as reducing sound transmission through the floor. Easiest option is to simply affix another layer of acoustic plasterboard to the existing wall. This will go some way to improving the problem and may be sufficient. A little higher up the effectiveness scale is to remove the existing plasterboard and fill the cavity between the studs with good quality acoustic wall insulation, in either Fibreglass, Polyester or Rockwool. When re plastering, the use of an acoustic plasterboard to further increase the wall mass, and resilient mounts to break the vibration path will greatly improve the reduction in sound transmission through the wall. Finally, if a high degree of soundproofing is required, you can effectively create a ‘room within a room’ scenario as with ‘soundproofing a sound studio’ above. Employ the services of professionals to construct an additional internal wall frame; this one has to be detached from the existing walls. High performance Acoustic insulation in Polyester, Rockwool, Fibreglass and Mass Loaded Vinyl (which is a heavy density, sound dampening material) can then be sandwiched between the two walls. Adding this kind of structure with insulation is highly effective at reducing sound transmission. Once the ceiling and walls have been modified in this manner, you can then finish these surfaces to match the rest of your room. It’s also important to consider getting the floor soundproofed. 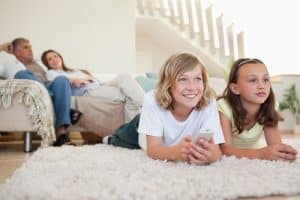 It’s true that adding a thick carpet can be effective in dulling sounds, but the addition of an acoustic underlay will further reduce sound transmission through the floor. However, the best way to make the room truly soundproof would be to increase the floor mass with the addition of acoustic insulation mass loaded vinyl. This high performance solution reduces unwanted sound transfer under floors; it helps create quieter living spaces and is ideal for situations that have a higher noise level. It is suitable for use between floors, media rooms, for a sound studio in your house or any other specialist application. This specialised underlay is fitted just below the carpet and elevates the amount of soundproofing. Most people don’t realize that the crack under the door can be another weak point when it comes to soundproofing a room. This problem can be fixed by adding a door sweep- the device will allow the door to open seamlessly, but it automatically falls in place once you close the door. The door material itself can be another source of noise problems. If possible, install a solid-core door as this too acts as an effective barrier to sound. Apply foam gaskets just behind the facing of electricity outlets’; this removes the outlets through which sound can escape the room. At least 25% of the room should be devoted to other absorbent materials, including draperies, carpeting or furniture. These complement the insulating properties of the other insulation materials that we just discussed; they absorb sound and dampen sound waves. In addition to adding acoustical linings, absorbent materials, barriers and soundproofing panels for walls, ceilings and floors, you can also get double-hung vinyl framed windows installed. The latter greatly minimize the transmission of sound. However, If you don’t want to go into the expense of replacing your windows, hang sound absorbent drapes or make prefabricated absorbent material covers for them. How to soundproof a room sounds too hard? When you go through all these details, soundproofing a room may seem like a monumental task. This is true to a certain degree as it’s important to choose the right materials for the right application and ensure that the installation is carried out to perfection. In the end, the easiest and safest way to get it right is to have a professional handle the job for you. They know exactly How to Soundproof a Room, and it may not cost as much as you think. To get product information and selection help, or to get more information or advice on how to soundproof a room, simply send us an email [email protected] and we’ll be more than happy to help. Bradford Soundscreen Insulation Batts- What are they and Do They Work?